When you need help with an appliance repair in your home the most important decision you will make is who to call. Don’t choose a company randomly and hope for the best, Appliance Masters Repair Service is the only choice if you value quality and professionalism. We consistently rank as the first choice for anyone looking for the best appliance repair service. Across the Huntsville, Alabama metropolitan area we have gained a reputation of trustworthiness earned through appliance repair service that is consistently reliable, fast and satisfies our customers. We have earned that trust; let us prove to you that you can trust us, too, for your appliance repair services. We are always happy to answer questions, and the easiest question to answer we are ever asked is, “Do you service this brand?”. The answer is always, “Yes, we service all major brand appliances.” In the Huntsville, Alabama area, Appliance Masters expertly repairs major brand appliances like Whirlpool, Maytag, Frigidaire, Samsung and KitchenAid. We also have a Sears warranty qualification, which allows us to perform licensed and insured work on any Sears machine. Regardless of whether you need a washing machine, dryer, refrigerator or other sealed system repaired, you will enjoy peace of mind when you call Appliance Masters. Our expertise comes from technical training and over 20 years of experience repairing appliances. Our reputation speaks for itself, and you can trust us to be professional, fast and professional. Don’t trust your major appliances to a company that doesn’t know what they are doing; trust Appliance Masters to do the job right! Appliance Masters has built their reputation and success by offering the lowest appliance repair rates in Alabama. Our service charges and appliance repair costs are significantly lower than our competitors offer. Our service charge is $75 for Madison County and $75 for all other locations. The call-out rate is the same if you are calling on Monday morning or Saturday evening. We strive to keep our costs low because we know that value is important to our customers, and we are committed to offering expert appliance repair at prices that you can afford. This is how we have earned the trust of our hundreds of loyal customers. If you need a major brand appliance repair, call us and rest assured that you will pay a fair price for an expert repair. You don’t have to pay top dollar to get professional repairs done on your appliances, just call Appliance Masters! We have so many loyal customers who call us for all their appliance repair, service and installation needs in Alabama because we value our customers and put their needs first. This is our business philosophy and the reason we have been successful for over 20 years. We make sure that our customers are happy and 100% satisfied with our work before we leave the job. If you call us, you can be assured that we will do it fast and do it right. We guarantee all parts and labor for any service, repair or installation that we do. We also maintain extended business hours to better service our clients. Appliances don’t always break during normal business hours, and Appliance Masters knows this. Our hours are from 9 a.m. to 9 p.m., 7 days a week. Of course, we also offer after-hours service, and our call-out rates are the same regardless of when you call and our guarantee of fast, professional appliance service, repair or installation applies to every customer, every time. Appliance Master doesn’t just repair appliances, we also install and provide maintenance as well. While our specialty is repairing appliances, both large and small, we can accommodate any appliance needs you may have. If you need a new appliance installed, let our trained technicians take care of it quickly and reliably. We have over 20 years of experience and understand how to do the job right.Our prices for both service and installation are also the lowest in the area, and our parts and labor warranties apply to this work, as well. Our extended hours are convenient for our customers who are at work during the day, as we install appliances from 9 a.m. to 9 p.m. every day. When you have made a significant investment in a home appliance, it makes sense to have a qualified professional install and maintain it to protect your investment. You can trust Appliance Master with your appliance repair, service and maintenance needs. We have built our business’ success by earning the trust of our customers. 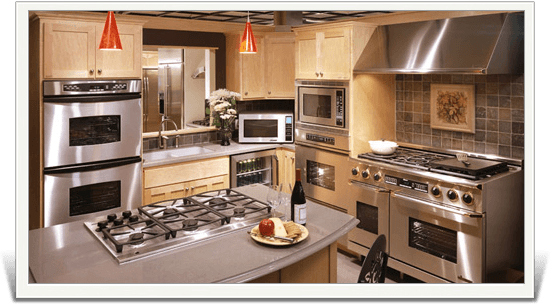 Appliance Masters Repair Service provides an affordable service for most of the North Alabama area. We started out providing appliance repair Huntsville Alabama. We have now branched out to the rest of the North Alabama area. A refrigerator is one of the most expensive appliances that most people own, and the food that is stored inside can be very costly to replace if your refrigerator stops working. Appliance Masters will come quickly to repair your refrigerator and protect your hard-earned money. We work seven days a week, whenever you need us, to provide guaranteed repairs. Appliance Masters has been putting the needs of their customers first for over twenty years. 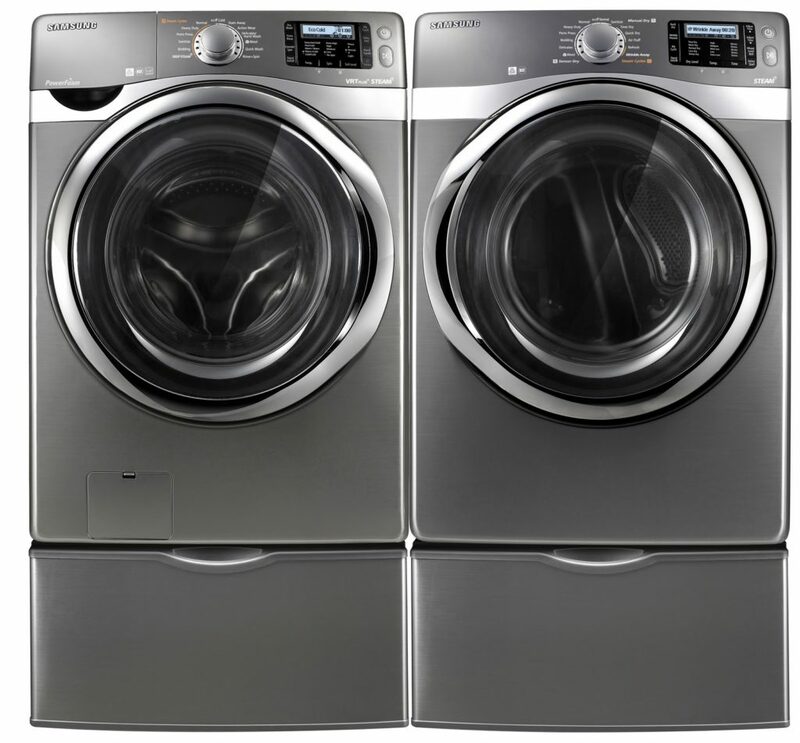 Our customers know that they can trust us to solve their washer problems as quickly and inexpensively as possible. Guaranteed. No one truly appreciates their dryer until it breaks. Regular service is also important because an improperly installed or maintained dryer is a fire hazard. You can trust Appliance Masters to provide you with all your repair, service and installation needs by trained, experienced technicians. An oven that is not working properly due to calibration or mechanical reasons will not produce the highest quality food and can waste energy. Alabama residents know they can call Appliance Masters whenever they need their oven repaired, installed or serviced. Unless you really like to wash your dishes by hand, a dishwasher is an important appliance. Appliance Masters has the experience and expertise to quickly repair your dishwasher and save you from the time-consuming task of hand washing. When you cannot even fry an egg because your stove top is not working, you need it repaired fast. Stove tops use high voltage electricity or gas lines, and these are best left to professionals who are certified and trained to repair these potentially dangerous appliances. Call us any time, day or night, and we will arrive quickly to safely repair your stove top. If your freezer is not working, all your frozen foods can thaw fast in the Alabama heat. Appliance Masters can save your food and repair your freezer at a price that is lower than our competition. Trust us when the clock is ticking and you need help fast. Everyone relies on their microwave every day. When yours is not working, you can call Appliance Masters and rely on us to solve your problems. Alabama residents have been trusting our trained technicians for their microwave repair needs for over twenty years and you can too.